W0048. 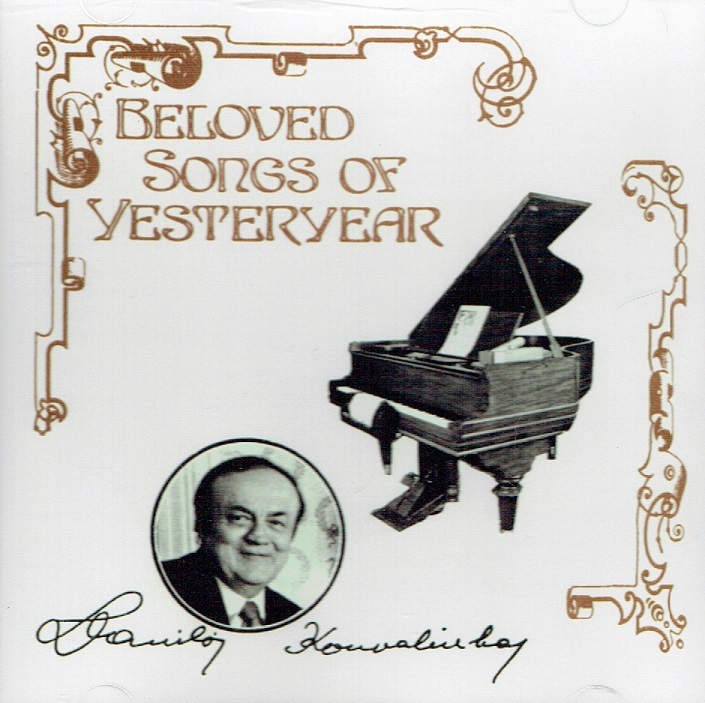 BELOVED SONGS OF YESTERYEAR played on the A. B. Chase Grand Piano, the 'Steinway of the Midwest', built in 1912 in Norwalk, Ohio, and one of only a few surviving examples of this magnificent type of player piano; expertly restored by Tim Westman of New Hampshire. [A delightful nostalgic voyage down Memory Lane! 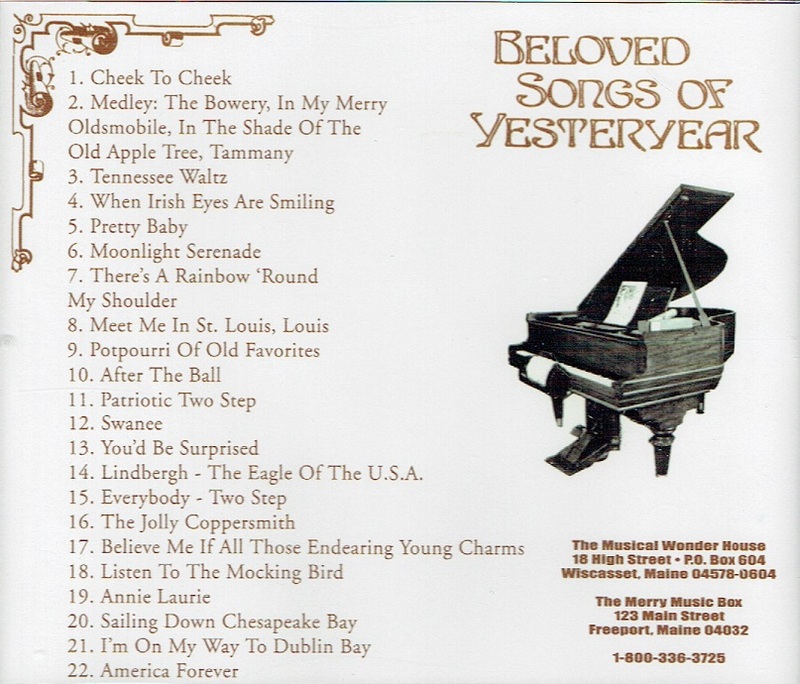 This long out-of-print CD is now available in a limited number of sealed copies which have just been discovered from the now defunct Musical Wonder House of Wiscasset, Maine.] Privately produced by The Musical Wonder House of Wiscasset, Maine. Sealed. “The A. B. Chase Piano Company was established by Allen B. Chase in 1875. The original factory was located at 16 West Main Street, Norwalk, Ohio. The firm was quite successful and expanded operations to New York City in the early 20th Century. A. B. Chase built both pianos and organs in the last quarter of the 19th Century, discontinuing their organs by about 1900. A. B. Chase offered a large selection upright pianos, grand pianos and player pianos and their instruments were known to be of superior quality. A. B. Chase truly built some incredible pianos, and their instruments are considered very desirable by musicians and piano technicians alike.